You may be wondering why science is showing keen interest in such an everyday gesture. Indeed, while you’ve relied on it as a natural painkiller after your little one has scraped his or her knee, hugging unwittingly has many other positive side effects. Various studies have shown the close association between the positive emotions derived from this simple act of affection on the one hand and on overall well-being on the other. Hugging and close physical contact have been advocated by countless child experts as an invaluable element in child development. Hugs Build a Child’s Life Skills. Children who are exposed to hugs are often very expressive and warm, while those who aren’t hugged very much or aren’t shown affection by their family usually grow up putting a distance between themselves and other people. The indispensability of hugging and physical contact in a child’s development can be attributed to as early as the child’s foetal days, when the warmth and snugness of the womb simulates the feeling of being hugged. The skin of the baby is exposed to warm amniotic fluid the whole time. 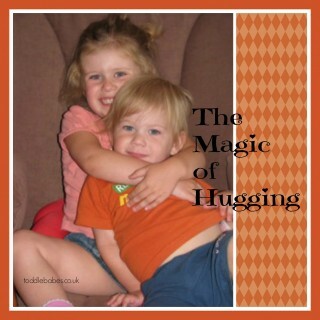 Children in hugging households are equipped with emotional skills that facilitate healthy interpersonal relationships. In fact, hugging and other forms of touch therapy are employed by child experts to help abused children recuperate from emotional trauma. Touch therapy is used a lot, especially with children who have been sexually abused, studies show. It is used with great caution and at a pace the child is comfortable with. Hug therapy, if successful in these cases helps restore a child’s ability to cope, to trust in people again, and to emotionally express him or herself – factors necessary in forging healthy intimate relationships as an adult. Hugs Build A Culture of Peace. There are differences between ‘hugging’ countries and ‘hands-off’ countries. For instance, American babies are put in nurseries separate from their parents’ rooms. For other cultures, this is not practiced and the babies are immediately roomed in with their mothers. Hugging has been found to affect cultural predispositions towards aggressive behavior. That is, this is said to be why some cultures are more violent than others.